Rangomati by Nabin Chandra Sen Bangla Poetry Book pdf file. Nabin Chandra Sen (born on February 10, 1847 - Death on January 23, 1909) was a remarkable poet of Bengali literature. His written first poem 'Kono Ek Bidhaba Kaminir Prati' was publish in one of the renowned magazine at that time Education Gazette. His writing best poety are Palashir Juddha, Roibatak, Kurukhetra, Probhas and poetry books are Cleopatra(1877), Amitav(1895), Rangamati(1880), Khrishta(1890) etc. 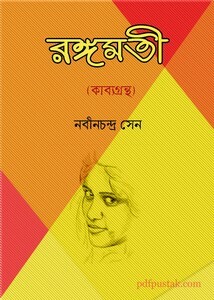 You collect a pdf copy of his written poetry book Rangamati.